Marijuana users for many years have felt misunderstood. Even as the use of cannabis has become legal in more places, certain images seem to remain in the mind of the public. Everyone knows them. The stoner on the couch. Typically unemployed. Almost always a guy. It’s made for some very funny movies, but it’s divorced from reality. Also, it’s annoying. For cannabis users, it gets old feeling people might judge you for marijuana use when everyone else is sitting around drinking vodka tonics. After all, marijuana is just as legal. And arguably better for you. “Reefer Madness” was a long time ago. It’s time people woke up to the modern day marijuana user. Here are six things marijuana users wished you knew. The typical marijuana user isn’t on the couch at two in the afternoon watching bad television. Where others might have glass of wine after work, other prefer to partake of a bit of cannabis to unwind. They’ll get up tomorrow and get into work just like everyone else. And without a hangover. Medical marijuana is available in 29 states. People who use it are looking for relief from a number of conditions. They include chronic pain and the nausea brought on in cancer patients who undergo chemotherapy. These uses are legitimate enough where thousands of doctor prescribe marijuana. Even sports league are beginning to study whether marijuana might work as a substitute for opioids. 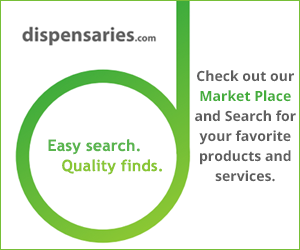 Marijuana products also include those that have cannabidiols (CBD), an active ingredient that does not cause a high. They come in oils, lotions and even in bottled water. They are used for their medicinal qualities, not because people want to use them to get high. Another image of the “stoner” is someone who never leaves the house. That’s just not the case. Both men and women are just as likely to meet the gang for happy hour as they are to stay home. One writer even argued she is more social when she uses marijuana. Responsible marijuana users don’t drive under the influence. They don’t smoke cannabis in the house where kids are present. They clearly label every edible to prevent any accidents. These users don’t get high at work during breaks or miss job interviews sitting on the couch. Think about it. Millions of people enjoy a beer or wine after work and on the weekends. Cannabis users do the same. How is the former seen as responsible and the latter isn’t? Stigmas are hard to lose, sometimes. But when it comes to cannabis use, more people are coming around to the benefits. While certain people will never be convinced marijuana is as safe (or safer) than alcohol, a cultural shift is on that will eventually lead to more laid back attitudes about cannabis.